This is special safari, which includes visitation on Tanzania and UNESCO world heritage site, the Serengeti national park, Ngorongoro crater, Lake Manyara and Tarangire national park. Luxury camps and safari lodges will make you experience the wild adventure in Tanzania wilderness. Upon the arrival day, our representative will transfer you from Kilimanjaro International Airport (JRO) to Arusha Mount Meru hotel for dinner and overnight stay. Enjoy early breakfast at Mount Meru Hotel, you will take the drive through tarmac road about 130kms to the pool of African Elephants the famous Tarangire national park, whereby this we will consume about 2 hours and 10 mins. Tarangire is the surprise package on the Northern circuit. Tarangire is surprisingly large, giving visitors the quietest game viewing environment of all the parks in the region. Elephants are the main attraction, with up to 3,000 in the park during the peak months. Peak season also sees good numbers of wildebeest and zebra as well as giraffe, buffalo, Thompson’s gazelle, greater and lesser kudu, eland, leopard and cheetah. In the evening after game drive, you will depart to Tarangire safari lodge for dinner and overnight stay. After breakfast, we proceed with our safari schedule to the famous tree-climbing lions park. Lake Manyara is a lovely scenic park on the road from Arusha to the Ngorongoro Crater, famous for its tree climbing lions, good elephants and baboons. The lake itself takes up much of the park, leaving a strip of land running along its shores where game concentrates. And its varied landscape supports an impressive range of other game including wildebeest, buffalo, hippo, flamingo, zebra, warthog, waterbuck, dik-dik and impala. The birding here is also very good, especially raptors. In the evening you will depart to Lake Manyara Serena lodge for dinner and overnight stay. Meal and accommodation at Lake Manyara Serena lodge. Early in morning after breakfast left Lake Manyara, where you will be collected to Lake Manyara airstrip for the flight heading to the famous Serengeti national park, the world heritage site. Prepare your camera for lifetime memorable pictures, at Serengeti plains, because the park provides a panoramic view that suit photographing. The spectacle of predator versus prey dominates Tanzania’s greatest park. Golden-maned lion prides feast on the abundance of plain grazers. Solitary leopards haunt the acacia trees lining the Seronera River, while a high density of cheetahs prowls the southeastern plains. Almost uniquely, all three African jackal species occur here, alongside the spotted hyena and a host of more elusive small predators, ranging from the insectivorous aardwolf to the beautiful serval cat. In the evening after game drive departs to Serengeti Acacia luxury camp for dinner and overnight stay. Meal and accommodation at Serengeti Acacia luxury tented camp. Wake up early in the morning, enjoy hot breakfast, and then pick up your sensitive camera to get some lifetime pictures of wildlife and the plain grass land of Serengeti. The Serengeti’s main attraction is the Great Migration, consisting of up to 2 million wildebeest, 200,000 zebras and 350,000 Thompson’s, impala and Grant’s gazelles. The predator viewing here is exceptional with approximately 3-4,000 lion and huge numbers of cheetah, leopard and hyena. Other animals commonly found in the park include topi, eland, hartebeest, buffalo, elephant, caracal, serval, bat-eared fox, hyrax, genet, hares, porcupine, aardvark, giraffe, jackal, mongoose, crocodile, monitor lizard, aardwolf, many kinds of primates including baboons, vervet and colobus monkeys, and over 500 species of bird. In the evening you will be driven to Serengeti Acacia luxury camp for dinner and overnight stay. Meal and accommodation at Serengeti acacia luxury camp. In the morning depart for another awesome game drive at the southern grass plains of Serengeti near the Ngorongoro Conservation Area. During the months of February to May, the migration used to be in this place. 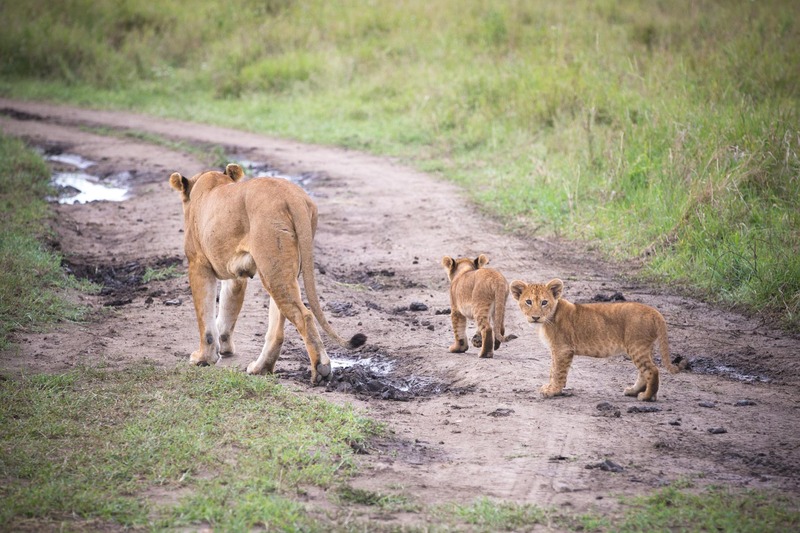 You will reveal the game drive at the southern grass plains, in the afternoon enjoy the delicious lunch box in the wild, and while in the evening depart to Ndutu safari lodge for dinner and overnight. Enjoy an early breakfast at Ndutu lodge before descend to the largest world crater for an astonishing game drive. The area contains over 25,000 large animals including black rhinoceros, wildebeests, zebras, eland and Grant’s and Thomson’s gazelles. The crater also has the densest known population of lions, numbering. Higher up, in the rainforests of the crater rim, are leopards, about 30 large elephants, mountain reedbuck and buffalos, spotted hyenas, jackals, rare wild dogs, cheetahs, and other felines. You will enjoy full day game drive, then after you will depart to Ngorongoro Serena lodge for dinner and overnight stay. In the morning after enjoy a hot breakfast at Ngorongoro Serena lodge, driver guide will pick you heading to Shifting sand and Oldupai gorge at Ngorongoro conservation area. This remarkable black dune, composed of volcanic ash from Oldonyo Lengai, is being blown slowly westwards across the plains, at the rate of about 17 meters per year. Some 9 meters high and 100 meters long in its curve, it can be found to the north of Oldupai Gorge. While at Oldupai gorge you will more about the cradle of man kind. In the evening you will depart at Ndutu safari lodge for dinner and overnight stay. In the morning you will enjoy your hot breakfast at Ndutu lodge, and then driver guide will collect you to Ndutu airstrip for the flight heading to Kilimanjaro international airport for International flight back home, where will be the end of your lifetime amazing wilderness luxury safari.